The Federal Communications Commission’s Enforcement Bureau has reached a $2.4 million settlement with General Communication, Inc. (GCI), resolving an investigation into five 911 service outages that occurred on the company’s wireless network in various parts of Alaska between August 2008 and April 2016. As part of the settlement, GCI has agreed to strengthen its procedures for providing 911 service and to adopt robust compliance measures to ensure that it adheres to the FCC’s 911 service reliability and outage notification rules in the future. 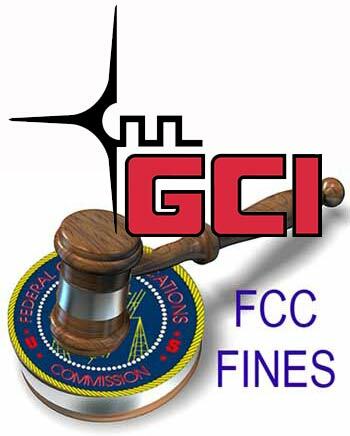 Last October, GCI was fined $620,500 by the FCC for not registering 118 towers and lamping three structures. The towers were later sold to Vertical Bridge. In its investigation, the Enforcement Bureau found that the five separate GCI 911 service outages prevented significant numbers of the company’s wireless customers from reaching first responders when making 911 calls. The investigation determined that all five outages would likely have been either minimized, or entirely avoided, if GCI had implemented appropriate safeguards in its 911 network architecture and operational procedures. The investigation also found that GCI did not provide timely notification of three of the five outages to the affected 911 call centers. Further, GCI did not submit timely Network Outage Reporting System reports to the Commission in four of the five outages. Recover from such outages on a timely basis. In addition, GCI will maintain up-to-date contact information for 911 call centers, adopt a plan to notify 911 call centers during outages, and maintain contact with the Alaska 911 Coordinator’s Office when necessary. The consent decree also requires GCI to file detailed compliance reports with the Enforcement Bureau. The Commission has adopted a number of rules intended to ensure seamless, ubiquitous, and reliable 911 service nationwide. Wireless carriers are required to implement 911 routing and delivery systems to ensure that 911 calls are transmitted to the appropriate emergency call centers, to notify those call centers of 911 service outages lasting longer than 30 minutes, and to timely notify the Commission regarding the nature and extent of those outages. Today’s settlement with GCI is the fifth major enforcement action involving 911 outages that the FCC has taken in the last fourteen months. In July 2015, the FCC entered into a $17.5 million settlement with T-Mobile in connection with two nationwide 911 outages that impacted T-Mobile customers. In April 2015, the FCC entered a $16 million settlement with CenturyLink and a $1.4 million settlement with Intrado Communications, in connection with an April 2014 multi-state 911 outage that lasted for over six hours. In March 2015, the FCC settled with Verizon for $3.4 million in connection with the same April 2014 outage.